The good news is that we are again offering queen bees for sale this coming season, these are our gentle yet productive mated Italian queens that are ideally suited for both the backyard and commercial beekeeper alike. These gentle queens were selected above all others to be the queen bee of choice for the ten honeybee hives recently placed at Parliament House (Canberra). Our queens can happily be posted to you via Australia Post (Express Post) if need be. Please drop us a line or send us a text to lock your order into the production schedule to avoid disappointment. just posting a reminder that we are still offering the highest quality queen bees for sale, these are able to post posted out (outside of the ACT) where your located elsewhere and its too hard to pop down and pick up one. Gentle, highly productive, hygienic queens, low propolis or honey dew collecting traits. The last 20 of our queen bees are available for the 2017-18 season so if your looking to requeen or are just after a queen please contact us as once they have gone they wont be available again until Spring 2018. We are more than happy to post these out where need be, thank you. Due to the prolonged season we have recently had a number of ACT based beekeepers after queens to requeen their hives. So, the last 20 of our queen bees are available for the 2017-18 season so if your looking to requeen or are just after a queen please contact us as once they have gone they wont be available again until Spring 2018. The good news is that we are again offering queen bees for sale this coming season, these are our gentle yet productive mated queens that are ideally suited for both the backyard and commercial beekeeper alike. We have both Italian & Caucasian queens available, noting that Italians are typically the more popular of the two. 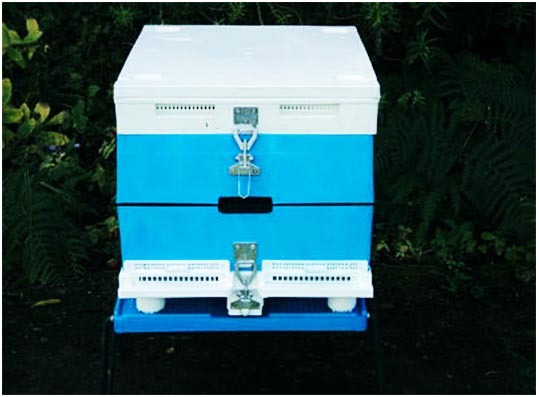 Buy TechnosetBee Plastic Bee Hives from Better Bee Hives. We stock all of your bee keeping and bee hive equipment for the starting beekeeper to the expert. we have had a few requests for queen bees in the past few weeks, so I thought that I would post this to confirm that YES we still have queen bees available and that YES we are happy to post these out to those located outside of the ACT where required. Ongoing thanks for everyones continued interest. Yes please I will need 10 and dotted please. Four for me at this stage thanks Eric.